Soy Sauce (Shoyu, 醤油) is made from soy beans, wheat and salt, and fermented for several months. Generally we differentiate into 2 types of soy sauce: koikuchi shoyu (濃口醤油, dark colored soy sauce) and usukuchi shoyu (薄口醤油, light colored soy sauce). It was developed in the east of Japan (Tokyo area) and it is dark colored with a slightly fruity flavor that reduces fishy and meaty smells in cooking. 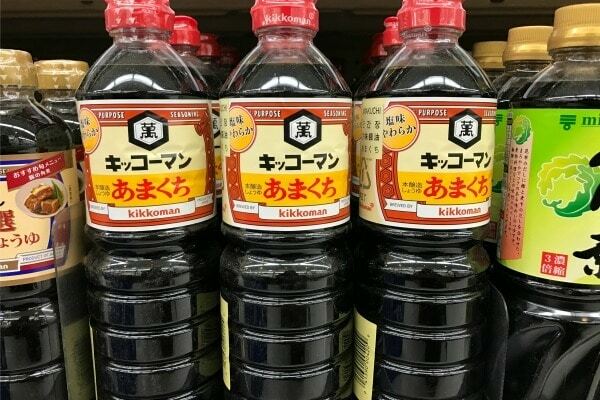 The soy sauce shown in the picture above is my favorite organic soy sauce (imported from Japan) from Kikkoman. Japanese grocery stores, H-Mart, and some Asian grocery stores carry this brand. 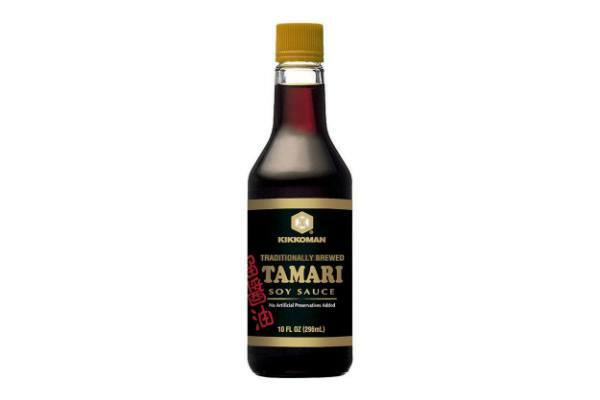 You can also purchase the same soy sauce (in English package) on Amazon. 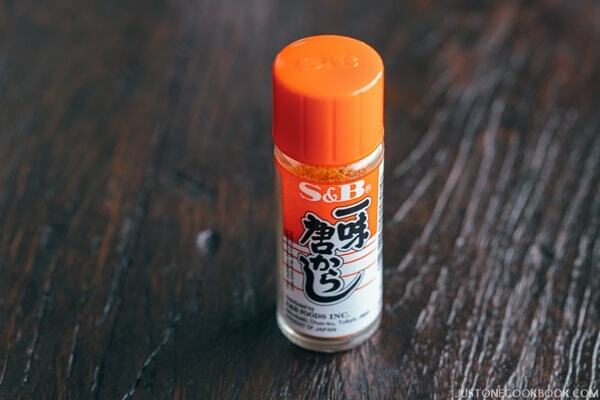 It was originally favored in the west of Japan (Osaka area) and it has a lighter color and saltier taste than koikuchi. We use lighter color soy sauce to make udon noodle soup, chawanmushi, and simmered dishes (nimono). 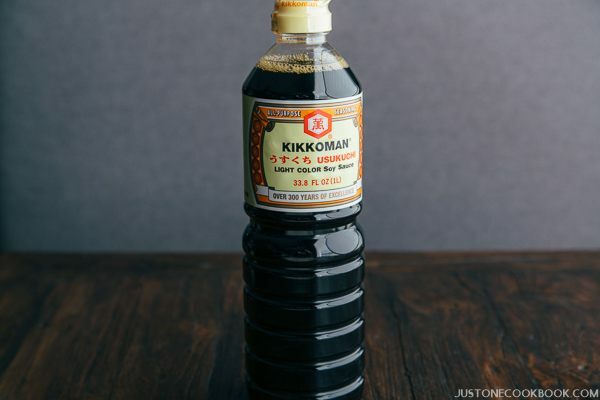 Use this soy sauce when you want to keep the broth color lighter in color. Regular soy sauce can make the broth/sauce too dark in some dishes. The sweet soy sauce is the mainstream soy sauce in southern Japan (meaning that they use this as regular soy sauce). 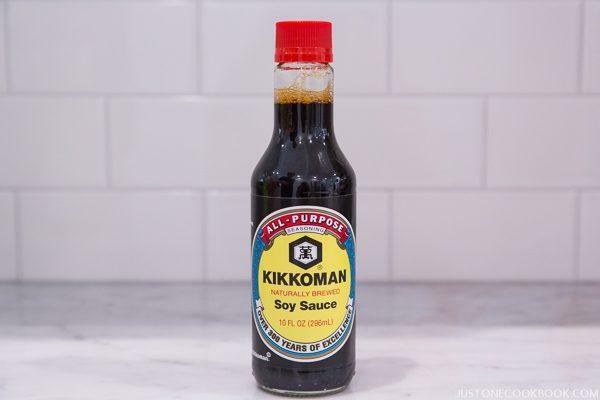 I actually have never used this soy sauce but if you happen to use it, please reduce the amount of sugar I use in my recipes. 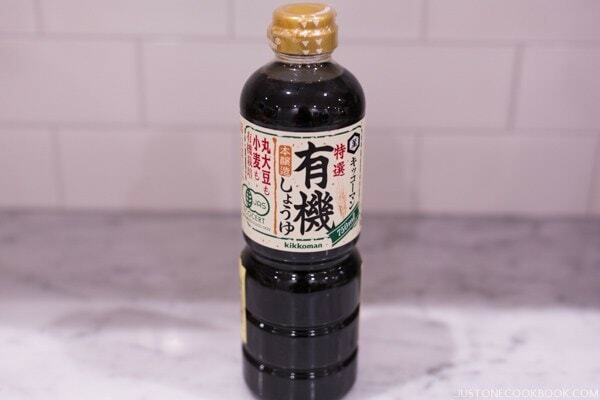 Substitute with non-Japanese Soy Sauce? 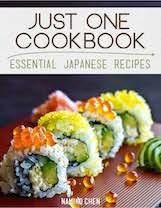 There is no substitution for soy sauce. 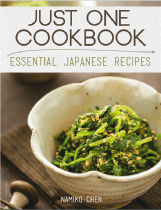 For Japanese cooking I highly recommend to use Japanese soy sauce because I can differentiate Japanese and other kinds of soy sauce. 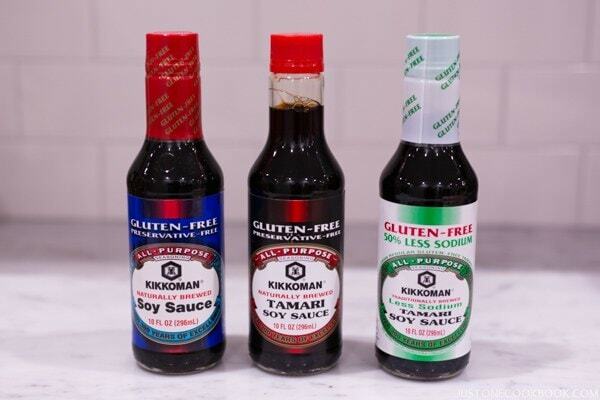 Kikkoman USA has gluten-free soy sauce! From left, gluten-free soy sauce, gluten-free tamari soy sauce, and gluten-free less sodium tamari sauce. The regular gluten-free soy sauce is just like ordinary soy sauce! 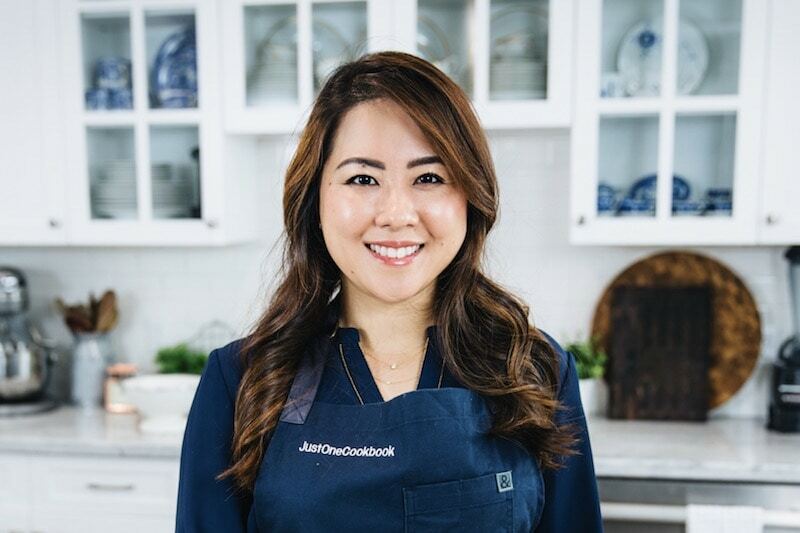 For gluten free recipes, please click here.